It’s been nearly 40 years since the Cars played their first area show at the Cleveland Agora. The show was broadcast live by WMMS-FM and has circulated in bootleg form for decades since then. Fans will now have the chance to buy it officially when it’s released this coming Saturday as a limited edition vinyl pressing for Record Store Day. Rhino Records executive John Hughes, an Elyria native who now lives in the California area, says that Live At The Agora, 1978 is the latest wave in a reissue campaign that began last year. He adds, “We’re not done yet,” indicating that additional releases will arrive in 2018 to mark the band’s 40th anniversary. 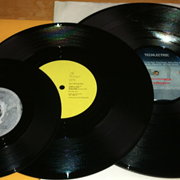 Singer/producer Ric Ocasek supervised the remastering of the original two track stereo mix and drummer David Robinson oversaw the packaging design, which includes a custom tire tread etching on the fourth side of the double LP set, and is limited to only 5,000 copies available at independent retailers. The Agora performance was recorded by Agency Recording Studios, located above the club. They typically had a 24 track sound mix coming off of the stage, which they would mix down for the WMMS broadcasts. 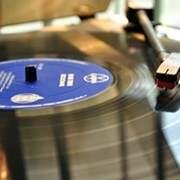 Former WMMS programmer John Gorman, now chief content officer at oWow Radio, knew that he was going to get a good sounding show, but as he points out, he had to consider the caliber of the band that he was going to surrender an hour of airtime to — and whether they would keep the listeners of the radio station from tuning away. Gorman coordinated the collaborations between WMMS and the venue and remembers that Agora talent booker Buddy Maver would often call him at least twice a week to take his temperature on certain bands and artists that he was being pitched — and would find out how their music was performing if WMMS was playing it. LoConti Jr. adds that Maver was juggling a lot with his Agora duties. Thanks to the support of the record companies, Buddy Maver remembers they booked “incredible, incredible shows” with bands that are now classic household names as they were on their way up. The Cars had caught the ear of Gorman and the WMMS staff with their sound, which stood out against the rest of the music that was circulating at that time. 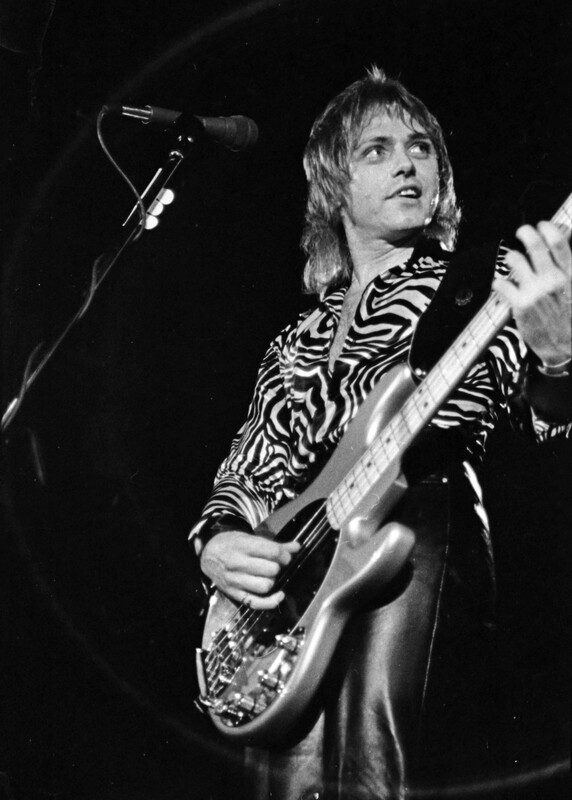 For Cars singer/bassist Benjamin Orr, who was born in Lakewood and grew up in the Parma area, where he attended Valley Forge High School, the Agora concert would be a homecoming performance. He had played with area band the Grasshoppers in the mid-’60s and the group spent 13 weeks working as the house band on The Big 5 Show, which later became Upbeat. Born as Benjamin Orzechowski, not surprisingly, he quickly picked up a nickname, going by “Benny 11 Letters” during his time in the Cleveland music scene. Ocasek, interestingly enough, also spent time living in the Shaker Heights area where his dad worked for NASA and he connected with Orr after seeing the Grasshoppers perform their final gig on Upbeat. The pair began to write songs together and would spend time in Columbus, followed by stints in Michigan and Greenwich Village before eventually landing in Boston. Gorman, a Boston native, became familiar with the music that Orr and Ocasek were making under the band name Cap’n Swing, just as he was leaving to move to Cleveland. Even though the group began after he had already departed, he would make the occasional return to the area and he remembers one particular trip where he saw Cap’n Swing perform live. “Somebody had suggested, there’s this band that you ought to check out. They play around and they call themselves Cap’n Swing,” Gorman recalls. “They have this cartoon character, this bearded guy, that’s supposed to be Cap’n Swing. They’re supposed to be pretty good. The person who had told me about them had seen them one other time. It was a club somewhere in the North Shore of Boston, just north of Boston, along the shore. I went off to see them and I was pleasantly surprised. They did all originals. They were short tunes and they were catchy. Ric Ocasek looked like a grasshopper, even back then. I had no idea that Ben was the [same guy] from the Grasshoppers that I heard about when I came to Cleveland. So even though I went to that show, I had no idea that I was seeing an ex-Clevelander, or else I would have found a way to say, 'Hey, I’m from Cleveland!'" When Gorman received his copy of the Cars self-titled debut album in 1978, he realized that he had crossed paths with the band’s music at some point, even though he couldn’t pinpoint where right away. Seeing the band live at the Agora concert in July of that same year, Gorman was impressed. He saw the results of a band that had spent a lot of time honing their live performance and songs as they were playing shows in the Boston area. The Agora set opens with “Good Times Roll,” on the heels of a stage introduction by legendary WMMS DJ Kid Leo. The band sounds tight, but it’s the moment that they go into “Bye Bye Love,” the second song of the set, where things really kick into gear. Orr takes the lead vocal, and the group tears through the song with a noticeably fierce, increased amount of energy. 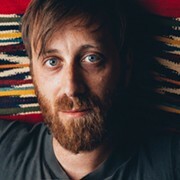 At the end of the song, he says “It’s good to be home,” as the group moves into an early version of “Night Spots,” offering a punchy advance preview (although the audience wasn’t aware at that time) of their next album, 1979’s Candy-O, nearly a year before it was released the following June. There’s not a lot of talking from that point forward, but there doesn’t need to be — the band replicates the material from its debut album with an impressive precision that presents a new argument against the popular statement that the group was never a great live act. The Agora tape tells a different story. 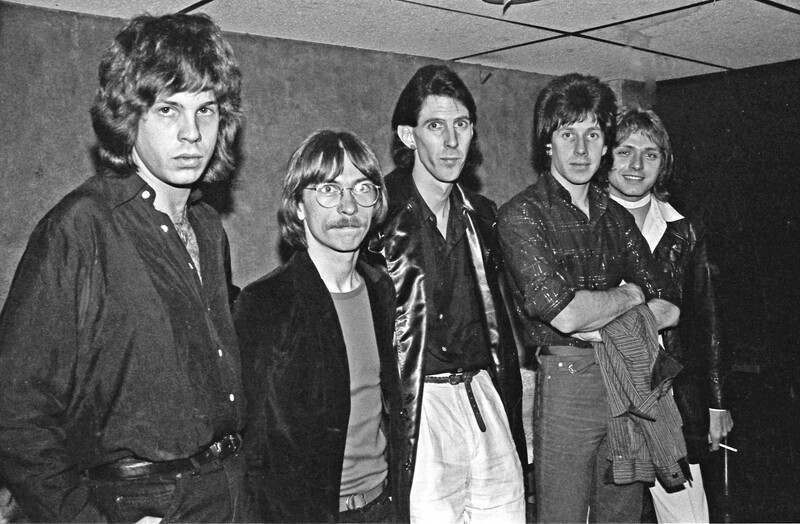 Members of the Cars were not available for interview for this story, but keyboardist Greg Hawkes offered the following comment via email, remembering that their Cleveland gigs often came with special perks courtesy of Orr’s family. “I remember that Ben's mom used to come to all the Cleveland shows and [would] usually bring food that she had made,” he recalls. 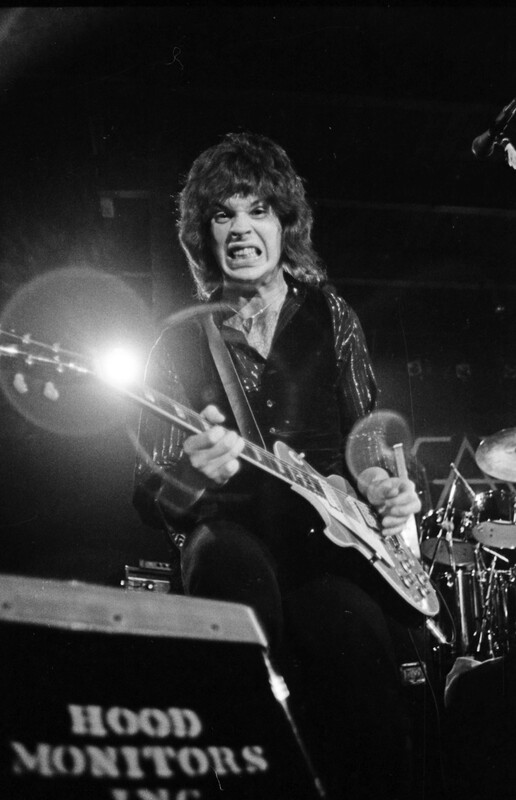 Macoska shot the entire show and the cover artwork of the Live at the Agora release features one of her pictures of Orr, whom she remembers talking to backstage after the show, along with guitarist Elliot Easton. She and Orr talked a lot about Cleveland and knowing that Easton was a fellow Beatles fan, they traded stories about the group — and she could hear a definite Beatles influence that was part of the Cars’ music. Recently, she uncovered a cool photo from Orr’s Grasshopper days. And you couldn’t beat the price of the WMMS Agora gig, as Scene writer Dave Voelker wrote in his review of the July 18 Agora show, which ran the week of July 27. "Why is it that the best things are always the cheapest? For $10-$15 you can throw your lot in with 50,000 other zealots at the Stadium and risk getting sunburned and M-80'd — all to catch a few strained notes. By those standards, Tuesday night's outstanding area debut of the Cars, at a mere $1.01, may well prove to be the entertainment bargain of the year. By now, abundant airplay has programmed just about everyone's fingers to subconsciously tap along with "My Best Friend's Girl" and "Just What I Needed." They've already become minor classics, and if hearing them on your car radio compels you to turn the wheel from side to side to the best (car dancing), seeing them performed live is an even more possessing — if somewhat safer — experience." Brook Park resident Joe Babin was 19 years old in 1978 and working at the Shoppe in Berea when he first discovered the music of the Cars. Thanks to work perks, Babin found himself at the Cars Agora gig and even though the house was already packed upon his arrival, he found his way inside. “The owner of the Shoppe, Dennis Selby, did a lot of work with the Agora, so we had free passes. Me and one of my co-workers went down there,” he says. “It was a sold out show and they were turning people away at the door. They said, ‘Oh, they’re not going to let you in.’ We pounded on the door and they finally opened up the door and we showed them our passes and they let us in. We missed the opening band, so while everyone was going to the bar, we walked right up in front of the stage." LoConti Jr. says that the club evolved organically with the way they booked shows, including the Cars show, which happened on a Tuesday night, incidentally, replacing that evening’s original scheduled headliner, Asleep at the Wheel, according to concert listings from Scene the week of July 13. “You know, my father never booked concerts on the weekend. The weekends were reserved for local talent. He only booked shows on Mondays through Thursdays and originally, just Monday and it was called Monday Nights Out At The Agora,” he says. “Then Monday sort of rolled over into Tuesday and then Tuesday rolled over into Wednesday and the Coffee Break Concerts on Wednesdays. I don’t think there was any thought out plan, you know, like a five year plan. It just sort of happened with the times and the opportunity was there and my father took advantage of it and put all of his heart and soul into it. I watched my father have many opportunities to go into other areas, making more money in other businesses and he chose to stay in that industry. The reason I’m telling you that is that you know, he helped make that room possible. He really did. His other brothers were making more money in other businesses and he just stuck it out there. Everyone thinks, ‘Oh, he must have been a millionaire when he died.’ No, he owed millions when he died. I’m being a little bit facetious with the number, but he consumed the business and it consumed him. He played a big part in that room, obviously. The history accumulated quickly and LoConti Jr. admits that there was a specific moment when he realized just how impressive the legacy of the Agora was. Less than a month later, the members of the Cars found themselves on a much bigger stage — performing as the third band of the day at the latest installment of the World Series of Rock at Cleveland Municipal Stadium. The event was postponed and rescheduled several times before it finally took place on Saturday, Aug. 26, with Fleetwood Mac in the headlining position. The Cars were part of the opening slate of bands and artists which also included Bob Welch, Eddie Money and Todd Rundgren’s Utopia. As Dave Voelker recapped in his Scene review which ran the week of August 31, the Boston band had their work cut out for them that day. “The Cars were left with the unenviable task of following Rundgren's ecstatic set — a position they wouldn't have had if Todd & Co. didn't have to play in Chicago later that same day,” he wrote. “They're still a little unseasoned, but I'm confident that many in the audience now know there's a lot more to the Cars than their main claim to fame, ‘Just What I Needed.’ Particularly, the raw power of ‘Don't Cha Stop’ and ‘You're All I've Got Tonight’ seemed formidable and impressive, marking this sharp new band as an attention-worthy contender." Nearly a year later, they were back in Hank LoConti’s orbit, performing at Legend Valley (also known as Buckeye Lake Music Center) on July 15, 1979, on a bill that was headlined by Rundgren and Utopia with support from Cheap Trick, the Cars and Eddie Money. It was an astounding day, according to LoConti Jr., who recalls that they were expecting a crowd of 15,000 at best — and ended up selling close to 50,000 tickets to the event. Fans can hear a nice snapshot of where it all began for the Cars with the new Live at the Agora release, and Hughes cautions that copies will likely go quickly, especially here in Cleveland.